This exhibition has a rather peculiar, more or less incomprehensible title - "Realstadt. Wishes knocking on reality's doors". What is this supposed to mean and what is the exhibition about? It almost seems as though, for reasons unknown, the exhibition makers wanted to avoid the terms ‘architecture' and ‘urban planning' at all costs. Nonetheless, the latter two concepts actually are what this exhibition is about, which is organized by the Federal Ministry of Transport, Building and Urban Development and conceived by Martin Heller and Angelika Fitz. "Realstadt" seeks to show urban development "as a project involving many actors" and the exhibition makers have gone to great effort to do that. 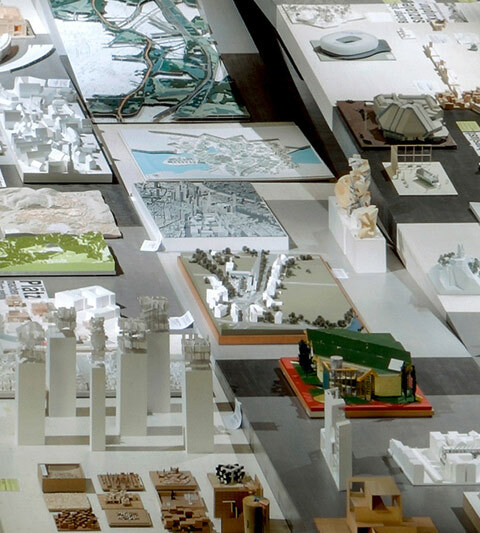 It features around 250 architecture and urban models plus a further 65 projects presented with the help of texts and image material, to document urban planning and architecture in Germany. As we would expect, the models submitted by local authorities, professional planning studios and universities as well as citizens' initiatives, associations and individuals in response to a nationwide call, differ as regards concept, scale, materials and appearance. 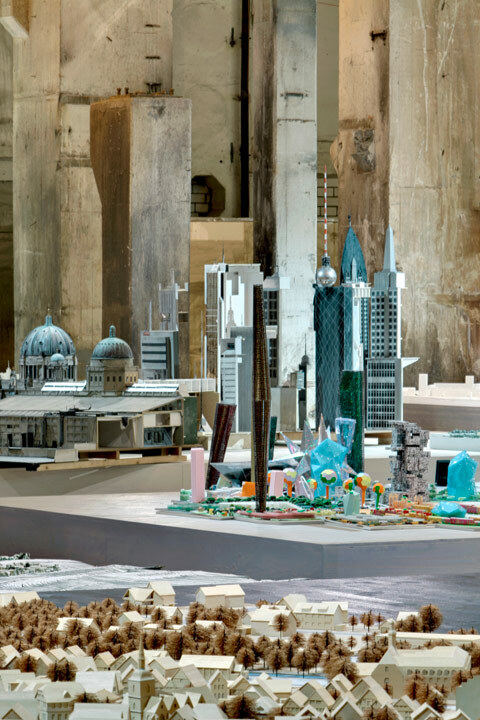 Although the selection does not claim to be representative, together they produce something like a kaleidoscope of the ideas and visions of the city prevalent in Germany. And this much seems certain: We will not see such a wide variety of architecture and urban planning models from all over the country, from the major cities and the little villages, again for some time. Major urban planning projects such as Überseestadt Bremen, redesigning the future of the old container port, or Messestadt Munich Riem, where a completely new district is taking shape around the site of the former airport, are presented alongside comparatively small projects, such as the Lohfeld Development in Karlsruhe, where a citizens' initiative successfully campaigned against the planned demolition of the buildings and for their renovation instead. "Individual interventions" are also represented. They include plenty of well-known prestige projects such as the Elbe Philharmonic Hall in Hamburg, as well as buildings that received very little national attention, like the exemplary conversion of the old train station into a municipal library in Luckenwalde, Brandenburg. Alongside current projects, there is also the odd historical model, the master plan for the Wolfsburg Detmerode district from the 1960s, for instance, and the model of the plans for the central area of Berlin, capital of the former East Germany, showing how it looked before 1989. Finally, there are one or two curious objects. "Honey Neustadt" for instance - stackable beehives made of readymade Styrofoam boxes, clad with imitation East German prefabricated building façades. Regretfully, Stuttgart 21, currently the most controversial project in the country, is only represented by a poster by the project opponents. 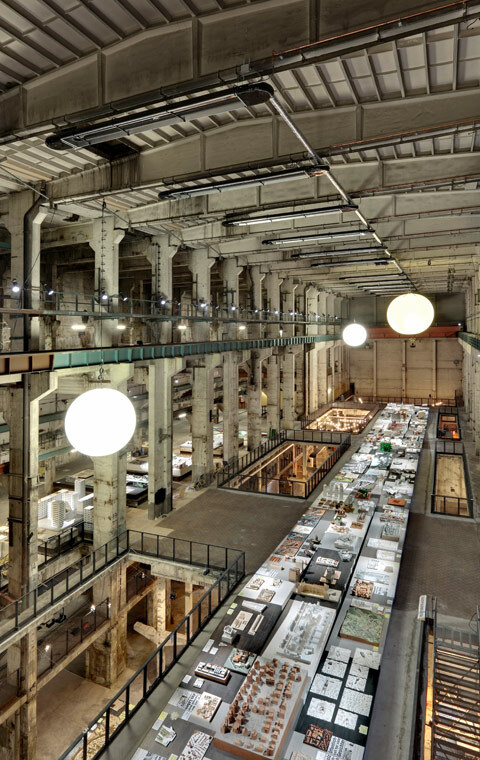 All this is being shown on around 8,000 square meters in the huge turbine hall of the disused Kraftwerk Mitte power station built in 1961, which forms a very impressive setting for the exhibition. 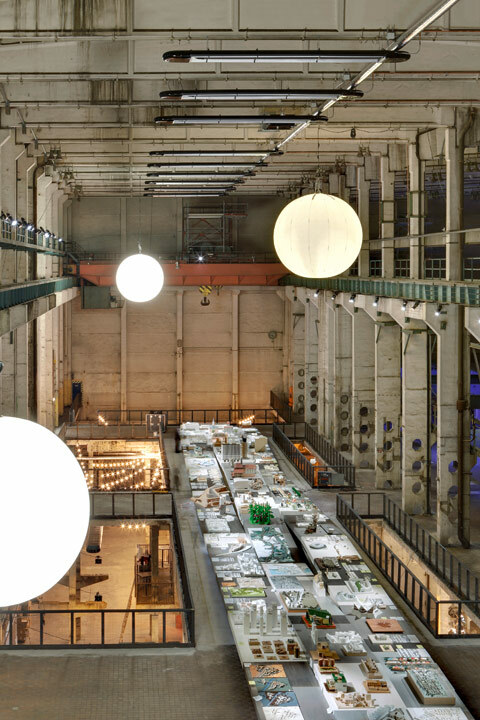 This giant room alone, with its unique atmosphere oscillating between industrial wasteland, workshop and construction site, is worth visiting the show for, designed by Holzer Kobler Architekturen. The exhibition itself leaves many questions unanswered. One of its core themes, namely that cities are "built by wishes, animated by wishes and pulsating with wishes", sounds like a trivialization and resembles obfuscation given the current debate revolving around Stuttgart 21. 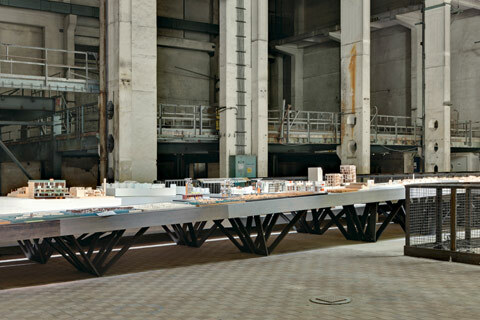 Irrespective of that, the "Realstadt" exhibition makers could have developed a more consistent concept and grouped the models according to clear criteria. And of course, no-one is capable of getting through the wealth of material on show here. Yet to a certain degree, the random and unsystematic quality of the exhibition partly constitutes its charm. However, the information on the individual projects is completely insufficient. With two or three skimpy sentences, only very few works are adequately elucidated and however hard we try, a complex urban planning design cannot be reduced to such meager explanation. Thus in the end, many of the projects are inaccessible, even to visitors with specialist knowledge. Where exploration of content is not possible, the models are even more suited to being show objects. Yet a reduction to their aesthetic value can hardly be the motive here. In short, the exhibition makers have decidedly made it too easy for themselves. The absence of an accompanying catalog supports this curatorial minimalism. Although a book with "photographic tours of the exhibition" is to be published "at around the time the exhibition ends", we could ask who would want it.